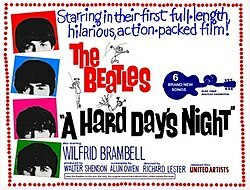 A Hard Day's Night Free Movie and Popcorn!! Guernsey Memorial Library and Chenango Arts Council Bring you a Hard Day's Night for FREE May 8, 2019 at 6:30 pm! !